Bill Adams was appointed to the Board of Trustees in August 2015 and elected in November 2016. An advocate for improved academic and extracurricular programs for all students, he believes it is important for Trustees to demonstrate leadership, exercise prudent stewardship, partner with the Superintendent and collaborate with community stakeholders to develop long term strategies that optimize our unique grade-clustered school system. Critical to success are shared vision, communication, engagement and accountability amongst students, teachers, District staff, and parents. Bill has participated in a wide variety of District issues including PTA, Education Foundation, Site Councils, Superintendent’s Advisory Committee, Boosters and Windsor Advocates for Music. In May 2016, he completed the yearlong California School Boards Association “Masters in Governance” leadership institute. 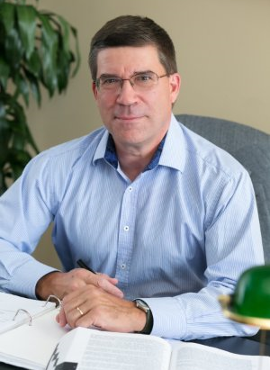 A native of Chicago, Bill has more than 30 years of experience in innovative solution-oriented planning, policy implementation and leadership team development in both the public and private sectors. He attended Northwestern University and law school at University of Oregon. Since moving to Windsor in 1993, Bill has been actively involved in youth sports, veteran’s affairs, and wide range of regional community programs addressing literacy, hunger, infrastructure collaboration, and economic development. In early 2015, he retired as Deputy County Counsel for Sonoma County and now is a partner in the Santa Rosa law firm of Merrill, Arnone & Jones. His wife is an elementary school teacher in another district and his three children have all gone through WUSD, with the youngest currently attending WHS.